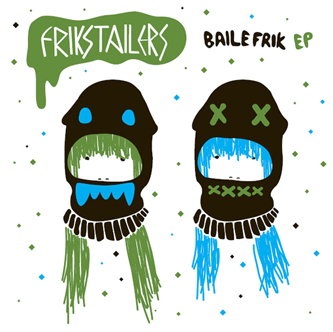 The Frikstailers impressed us a few weeks back with a slew of killer poly-style fusions on Man Recordings and they retrun this week on Revolt into Style records with three ace Baile Funk variations plus a remix from Peter Digital Orchestra. 'Baile Frik' is the Frikstailers smart take on the now ubiquitous Brazilian dance style, using that very same break but getting well busy with the edits to synchronize it Frik style, while Peter Digital Orchestra heads off an very different tangent with his NRG powered 'Born In The 80's' remix. The styles get switched once again on the flip with two remixes of MC Zulu from the Friks, taking his 'Truthfully' and 'Ransom The Senator' cuts and turning them into some ear catching blends of Bashment, Latin and favela funk with massive appeal across the board. If that wicked Chancha Via Circuito album caught your attention last week or you've got a thing for dutty Latin beats this is for you.